The 10-Year Development Program outlines major improvements to the academic campus. In addition to these, improvements will be made to the Farm laboratory and to athletics on both sides of Cedar Avenue. The athletics are summarized in the Athletic Master Plan. Worthy of special mention is integration of landscape improvements with the listed ten-year facilities improvements. 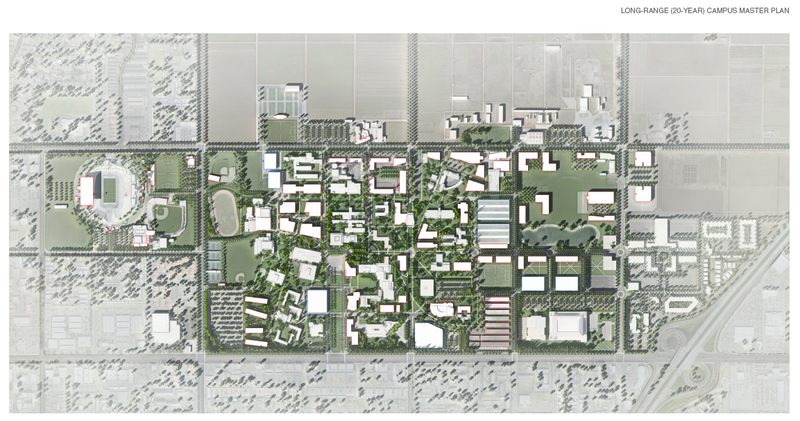 Unless these are funded, designed and implemented together, it is unlikely that the landscape master plan for the campus will ever be realized. This includes not only plant materials, but pathways and other integral infrastructure. Construct an architecturally conspicuous building to house all external contact functions, including Sports Ticketing and Information, The Bulldog Shop, Bulldog Foundation, and The Hall of Fame. On a second level with views over the ball fields, marketing, offices for broadcasting, and administration would be accommodated. Connect the football, baseball and soccer stadiums with an Athletics Mall, new pedestrian entry, promenade, spectator services and general landscaping.